Bitcoin breaks $1000, but how far can it go? Remember back in the day, when a single Bitcoin traded for a mere $100? It was a simpler time, before the nightly news began reporting on the value of hash strings, before every shared startup space was home to at least one virtual prospector and all the associated leaflets about crypto-anarchist society meetings. Bitcoin’s most avid supporters were still the fedora-and-leather-trench-coat set. Yes, it was a simpler time but it was also less than a year ago. In just over 10 months BitCoin has transformed its reputation, built considerable trust with the pubic, and scrabbled haplessly up the value-slope to fully dectuple its sale price. Now valued at over $1000 per coin (in some places), Bitcoin is certainly on the upswing but can the ride last forever? The primary impediment to Bitcoin’s continued success (besides the possibility that it will be legislated out of existence) is that right now Bitcoins are mostly just savings vouchers. Sure, people are buying Bitcoins, in the same way that they might buy gold to stockpile in a bunker, but if BitCoins sit in wallets they ultimately don’t help anybody. Unlike the value of gold, which has a physical basis and market controls that lend it some stability, BitCoin investors could very conceivably lose their fortunes overnight, making a mass panic and catastrophic sell-off a much more pressing concern. 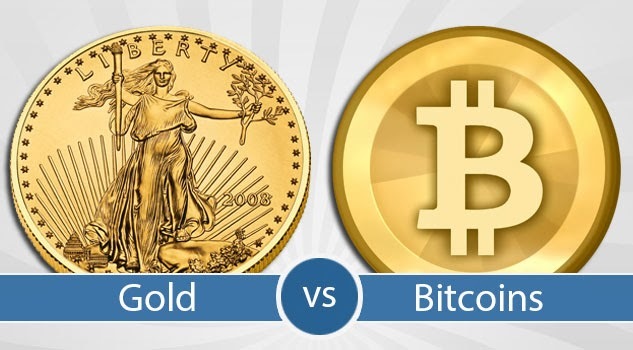 That, together with the fragility of data as opposed to bars of metal, mean that BitCoin has significant problems gold does not. The next generation’s economic showdown? Value is a measure of demand, so when demand increases purely in response to a rise in value, we get a feedback loop. Imagine if nobody cared about gold for decorative and industrial purposes, instead using it exclusively as a place-holder for value both earned and spent in competing currencies. This is basically what we have today in Bitcoins, and though gold’s intrinsic value is largely arbitrary in nature (we think it looks pretty), that doesn’t make Bitcoin’s lack of intrinsic value any less dangerous. If people were willing to spend thousands to park a BitCoin on their finger for forty years, the story might be very different. News organization often represent the largest Bitcoin transactions, transfers of tens or hundreds of thousands of dollars or more, as proving the economy’s health. Unfortunately, if I buy $100,000 worth of Bitcoins and send those Bitcoins to you, whereupon you immediately trade them back into US dollars, the Bitcoin economy sees little long-term benefit. 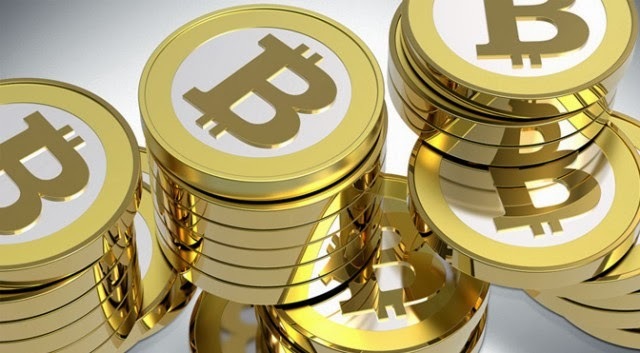 The difficulties with online currency have made even the Electronic Frontiers Foundation cease accepting anonymous Bitcoin donations from its users if Bitcoins continue to be mostly used to buy other currencies, as opposed to goods and services, then Bitcoin’s potential for growth is much, much lower than current speculation would have you believe. Bitcoin, the closure of Silk Road, and the future. Consider the closure of the Silk Road. Despite being worth an estimated four percent of the overall Bitcoin market, the Silk Road’s demise threw Bitcoin prices into a short-lived period of disarray. The main reason is panic among investors, but I think it’s also because the Silk Road’s transactions were among the most useful in the system; people realize that when you get rid of the biggest place to actually spend Bitcoins, that the economy will be defined by the hoarders, cashiers, and launderers left behind. When the Bitcoin market rebounded from the bust (and then some), was the business returning in a form as economically useful as that of the Silk Road? Or was it just more media-driven purchasing driving up values in the short term while continuing to neglect the currency’s relevance going forward. So, how can the Bitcoin community get people to start spending their crypto-coins, in addition to buying them? One option is simply to wait, allow the market to stagnate and require users to start selling or spending to avoid losing the value of their investment. Even so, the whole goal is to reach equilibrium without the need for a crash that could easily break people’s confidence and risk a total collapse in the face of mass sell-offs. To avoid this, Bitcoin as a group has been proactive about getting companies to accept its digital payments, but how many of us really need to buy pizza or a cab-ride under the cloak of perfect anonymity? In this, Bitcoin can only do so much to improve its usefulness; on an unavoidable level, it’s just not necessary to most people, at most times. Several services have popped up to act as Bitcoin purchasers, taking your digital currency and using it to finance real-world purchases from sellers that do not accept Bitcoins. This maintains anonymity while expanding buying power, but it remains to be seen how much people actually care. 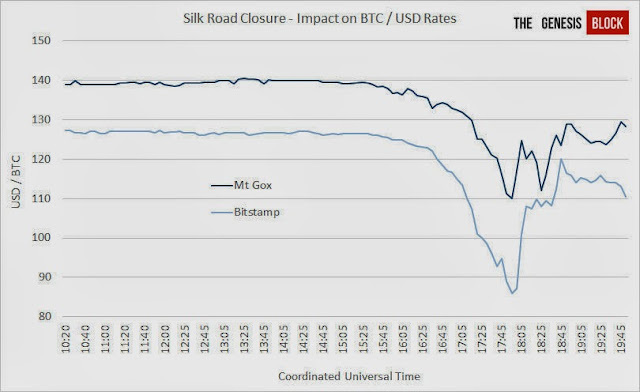 Bitcoin’s price plummeted after the Silk Road bust, but more than rebounded in short order. But is all business equal in the long run? Don’t misunderstand the argument, here: nobody is saying that Bitcoin is doomed to utter collapse, but rather that its capacity to continue growing it limited by real-world utility. Right now that utility is focused on anonymity, security, and ideological anarchism but those sub-segments of the market are only so big. It’s interesting to imagine this niche online currency used by criminals, bankers, and eccentrics the world over, but such a currency does not have the capacity to “take over the world,” as some predict of Bitcoin. There’s no way to interpret this breaking of the $1000 price barrier as a bad sign; Bitcoin and its users should be proud of bringing their thought experiment to such heights. Make no mistake, however: it is still just a thought experiment. The current model will only have long-term value to to investors, criminals, and technology writers. If they want to continue on to the $10,000 price point and beyond, that’ll have to expand.